Thanksgiving is still weeks away, but it’s not too early to start gearing up for the big meal. Taking small steps to plan and prepare for Thanksgiving dinner can help reduce your overall workload when the day arrives, meaning you’ll be able to spend less time in the kitchen and more time with loved ones. 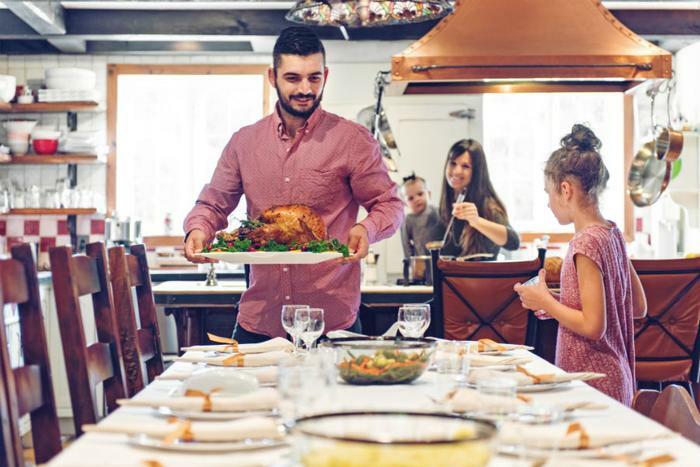 From planning your menu to making and freezing recipes ahead of time, here are a few things consumers can do to help set the stage for a less stressful day of cooking. Now that November has officially arrived, it’s time to start finalizing your Thanksgiving guest list. Think about how many people you can comfortably accommodate around your table for a sit-down meal. If you’ll be hosting a more casual, potluck-style meal, you may be able to invite more guests. Be sure to ask each guest about their dietary preferences and figure out what (if anything) they will be bringing to share. With this information in mind, you can start planning your menu. Start your Thanksgiving meal planning by selecting a turkey recipe, then plan other dishes around the turkey. Be sure to work in a few plant-based options for any guests who don’t eat meat. Approximately three weeks before Thanksgiving, start planning and organizing your shopping list. Look at each recipe and decide how much of each dish you’ll need, then create a list of all the ingredients you’ll need. By finalizing the list now, you’ll have ample time to order hard-to-find ingredients online. You may also want to order your turkey ahead of time since specialty turkeys can sell out earlier in the month. To figure out what size turkey you need to purchase, look at your guest list. Martha Stewart recommends approximately 1 to 2 pounds of poultry per person. You can also use Butterball’s turkey calculator to get a recommended size based on your guest list. Wine, liquor, and non-alcoholic ciders and sparkling drinks can be purchased early, since these beverages keep well. But wait until the day before Thanksgiving to buy perishables such as vegetables, seafood, and bread. Many Thanksgiving staples can be made ahead of time and stored in the freezer. Here are a few sides that you can make in the coming weeks to serve on Thanksgiving day. Pie. Your holiday pie can be baked up to two weeks advance. Just bake it, freeze it, thaw it in the fridge the night before Thanksgiving, and warm it in the oven just before serving. Here are a few freezer-friendly pie recipes. Gravy. Flour-based gravy can be stored in the freezer (in freezer bags) for up to four months. Roux-based gravy can be made up to four days before Thanksgiving. Rolls.Prepare your rolls and prebake them 75 percent of the way through, then put them in the freezer. They can stay there for up to two weeks. On Thanksgiving day, simply heat the rolls in the oven and brush them with butter before serving. Cranberry sauce. Cranberry sauce can be made and stored in an airtight container in your fridge for up to a week. Green bean casserole. Green bean casserole can be made and stored in the refrigerator for up to three days before baking. Save the fried onion topping for just before you plan to bake the casserole.